I have a confession to make. I HATE goats. I don’t just hate goats, I HATE goats. It is my own fault. I was completely willing to jump onto the goat train with hardly any thought. 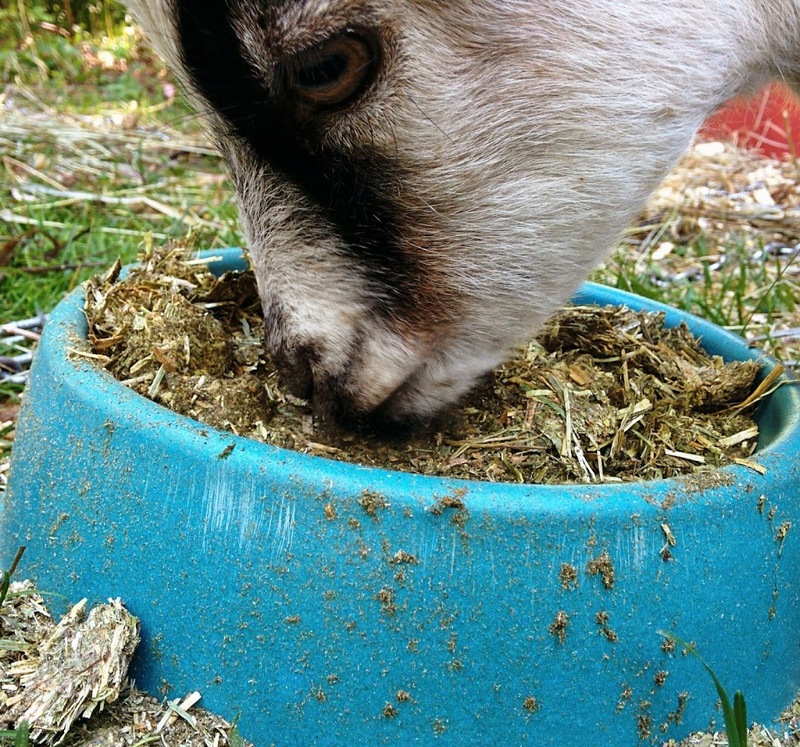 I knew a lot about how good goat’s milk is for you, plus the thought of having all that fresh milk sounded so wonderful. I was completely excited about homemade cheese, butter, ice cream, and even soap. I did my research on goat breeds, and settled on Nigerian Dwarf goats because of the higher butterfat content in their milk. I had everything in place. And then I got the goats. Or the goats got me. Now I was completely warned. I read several posts on how noisy goats are, especially Nigerians. They rank right up there under Nubian on the noisy scale. At the time that this crazy plan was forming in my head we lived on a small farm in the middle of nowhere, so the noise factor never was a big deal for me. But then we moved. And now I am surrounded by cottagers, and grannies who like the peace and quiet. Oh what was I thinking? That’s the truth take it or leave it. And many many people will say they have never ever had a problem with goats, and how they are such smart wonderful beings. Let me just say you have been blessed. I can’t imagine a worse torture than listening to two goats bawl. I would not wish this on anyone! Now it’s not that I’m trying to hide the goats, nor am I in a position where I’m not allowed the goats. According to the bi-laws in our municipality I have every right to have livestock on my property, and they can cry their lungs out if that is what makes them happy. So should I be a little more relaxed? Probably. But I don’t want to annoy the neighbours. That’s not what I’m in this for. Plus a crying goat sounds a lot like a crying baby, and there is only so much of that anyone can take. So it all comes down to this: What do I do? I am on the edge. I would almost be willing to break my vegetarian ways, and cook those two ungrateful beasts up, and eat them just so I could have the final say. If you’re thinking of getting goats, just save yourself the trouble and don’t. This is so funny. 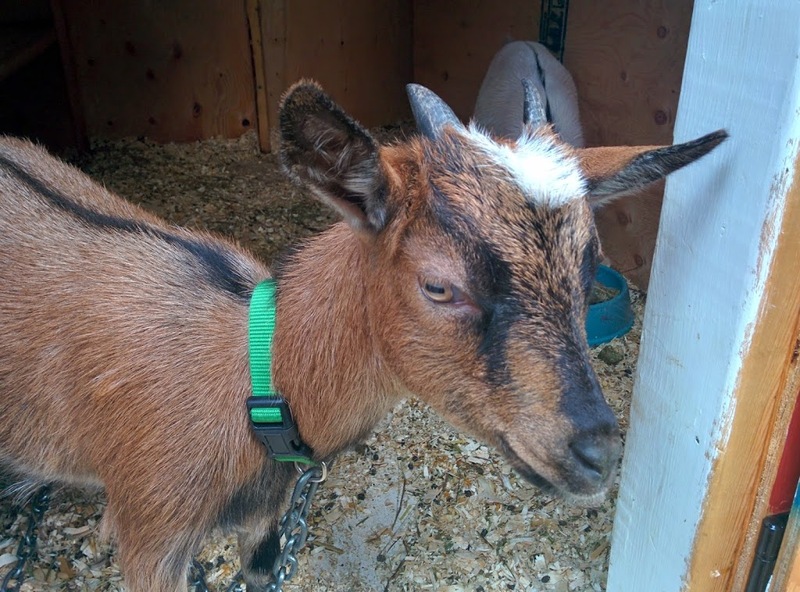 I found this post searching the term “I Hate Goats” as for the 4th time I had to catch my one goat that escaped into my dog yard and proceeded to headbutt my door wall… I finally found the escape route after a few false guesses and it’s now blocked, but it’s only a matter of time before they find another. I use to like my goats. I had them as adorable bottle babies and thought they were great. We then turned them out in an acre of overgrown scrub land and they disappeared into the shrubs seldom to be seen. I checked on them, I gave them fresh water and hay over winter and over the past 2 years I felt genuinely guilty about not spending any time with them, after all they would scream and cry as I walked away. Last month though we moved, and our new place is set up for our horses, not goats. So we set up a pen from corral panels to keep them safe and planned out a more permanent pasture… and then the escapes started. They crawled under the corral panels, so we used heavy logs to block them. They pushed the logs and escaped, so we fenced off the bottom, they busted through the chicken wire barrier and so we staked it down and added logs, and they still manage to find ways to escape. They run into the horse pasture and get chased by 5 nervous horses, with their ears pinned back, and I hold my breath until they slip under the hot wire and escape, only to run right back in 2 seconds later when they see me with a rope in my hand. They were perfectly fine when our interactions were minimal, but now that they are in my face every day I’m losing my mind. The plan for a permanent pen has changed to a plan for a new home. 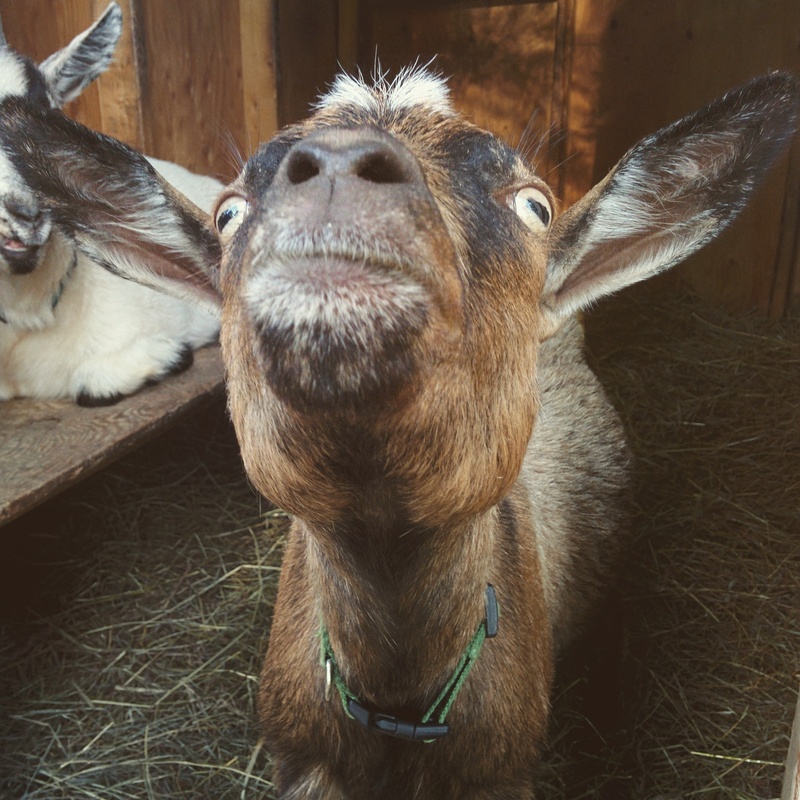 My goats are giving my ulcers! This cracked me up! I TOTALLY feel your pain! My goats are on a dry lot until we can get more fences put in for grazing pastures, so they can see the food but they can’t eat the food. To goat that means DESTROY. EVERYTHING. (said in a robot voice of course). Good luck with your goats! They’re cute but super annoying at times. We feel so bad leaving them closed up, even after taking TWO FREAKING WEEKS to make their home. So they run around with the sheep, but by far they are way worse creatures. They try to mate with the sheep, they murder every single green thing that dares try to live, they always cause trouble and they are way higher maintenance than all the other animals we have(and yes they make tons of noise for no apparent reason, and the males stink to high heaven). Shearing sheep and taking care of the chickens is easy compared to milking the does, EVERY SINGLE DAY AT LEAST ONCE, making sure they are pregos/nursing, trimming the horns, dealing with their damage, and taking special care that the idiots don’t have access to plants that really matter to us or are poisonous to them. Like you said, its more like we’re living according to their whim. Long story short, if you live in a desert or don’t have anything around for them to destroy, or annoy, go ahead! get goats! Haha, lesson learned… anywho ! Stay strong and God Bless!